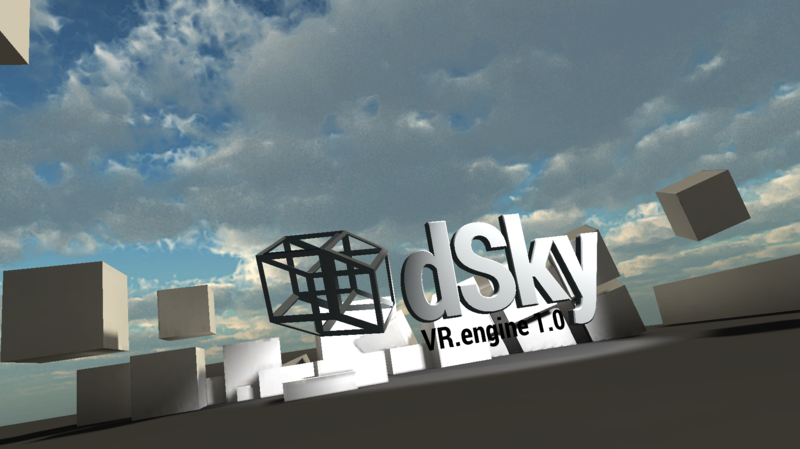 We finally prioritized mobile above DK2 dev, and have compiled our first fast demo for the superb GearVR platform by Samsung. Witness : the future. 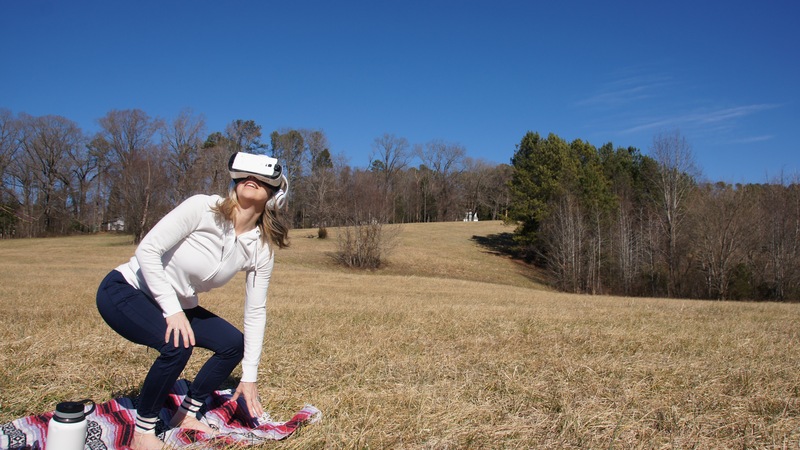 a truly mobile VR picnic. Way back in 2005, I was in the business of creating massive multiplayer augmented reality systems. My team created playspaces which could read up to 200 players simultaneously, using high-powered projectors to paint the space with light, complex multi-camera arrays to sense the people and their movements… and very highly tuned algorithms to transform those raw camera feeds into usable structured data, in real time, with near-zero latency. This was called markerless motion capture, or markerless mocap. It was before Microsoft Kinect, before time-of-flight, and was considered one of the holy grails of computer vision. We were able to package all this equipment: CPU, GPU, projector, cameras… all into a single piece of unified hardware. Our first build weighed in at 110 lbs. I lugged that beast all around North America, paying the steep fees to airlines and hurting my back all the while. Due to the physical stresses, I demanded that we bring the weight in under 50 lbs, the top limit of airlines, and indeed, with some clever mechanical engineering, we were able to accomplish that goal. Gizmo v3 weighed in at a svelte, travel-ready 49.9 lbs. 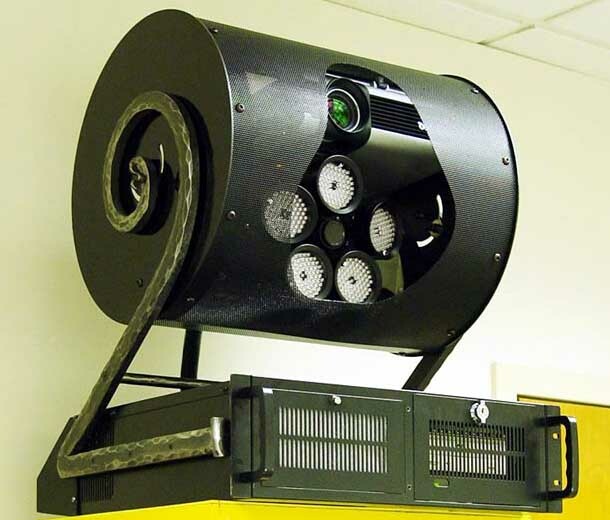 including high-lumen projector, camera-array, power supply, CPU, GPU, and fans. Nonetheless, 49.9 lbs was still a hell of a lot to haul around, especially given my 13th story walk-up apartment in Lower East Side, Manhattan where I was based at the time. On the 20th time I climbed those stairs, I swore to the gods above that never again would I haul heavy hardware around the planet. That promise held true for many years. Until now. Now, in 2015, somehow we find ourselves again in need of high powered GPUs, with the accompanying massive power supplies and cases. Thank the gods, I was able to engineer this thing to less than 20 lbs this time: the cameras are featherlight, and the projectors are replaced by goggles. Instead of projecting to an outerworld, we are creating rich innerworlds. However, its still a massive amount of heavy iron. a seminal board meeting of my former company. But as the days, months, and years went on, I realised the wisdom of my father’s words. 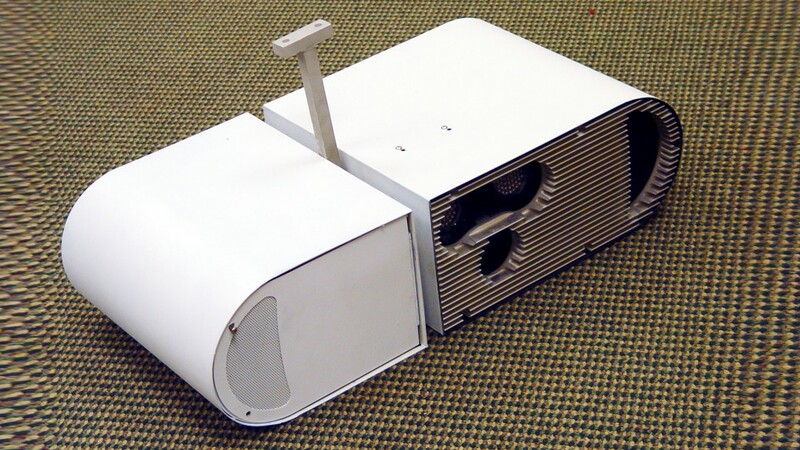 First came the pico-projectors, medium-lumen LED-powered HD projectors that were the size of a matchbox. Next came the low-powered, high-resolution stereoscopic camera arrays, these the size of a dime. And finally came nVidia’s Tegra line of GPUs, ulttra-fast graphics supercomputers that were purpose-designed for smartphones and tablets. Before I knew it, all the parts were in place. Which brings us to the present moment. Once again, we have built graphics supercomputers to ease our entry into real-time, high-performance VR. We tweak and optimize every component to maintain the floor 75fps required for genuine presence. the engine of our current VR-PC, the venerable Radeon 7990. 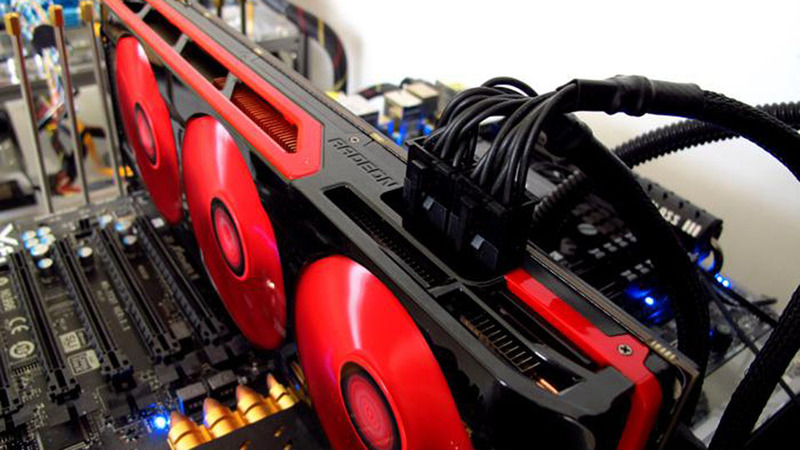 400 watts of energy draw, 4 gigaflops of graphics supercomputing horsepower, and 75fps on our Oculus Rift. And then, I got a Samsung Note4 and the GearVR peripheral, a hardware/software combo lovingly hand-architected by none other than John Carmack, designed to deliver high-performance VR in a truly mobile form factor. 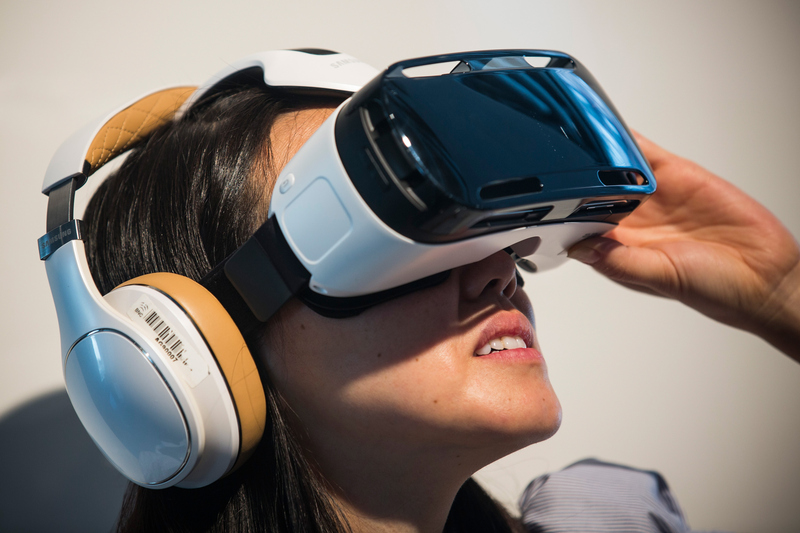 Samsung GearVR : the harbinger of the final form factor of VR : light, wireless, fast, mobile. The shocker? To date, my GearVR has outperformed all desktop solutions we’ve created. AND, the added element of freedom of physical movement is not even factored in here. The ability to bring your GearVR on a picnic in an Adidas sport bag, as opposed to bringing people into your studio and holding the cords out of their way… that alone justifies the Gear.